Are you looking for a fun sensory activity to keep your kids busy? 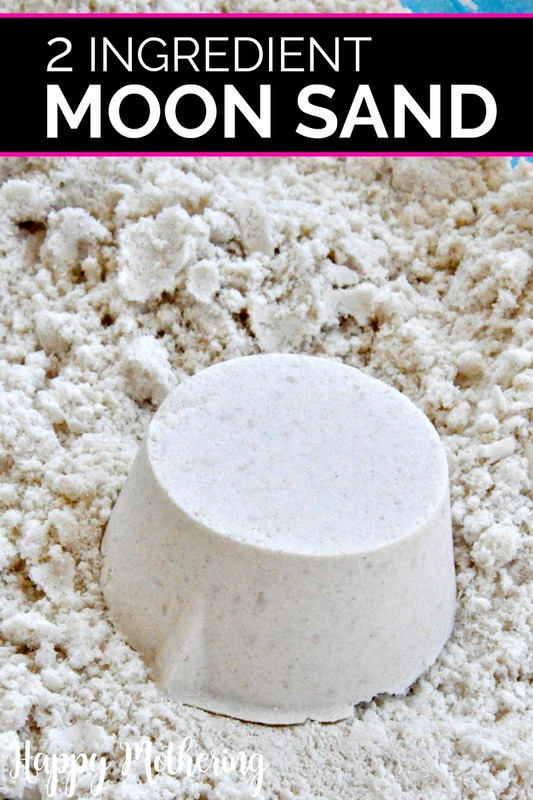 This DIY moon sand uses only 2 ingredients for hours of fun! I bet you’re here looking for my moon sand recipe so you can keep your kids busy. Am I right? Awesome! You’re going to love it! I know I’m always looking for ways to keep my girls busy – especially over school breaks! 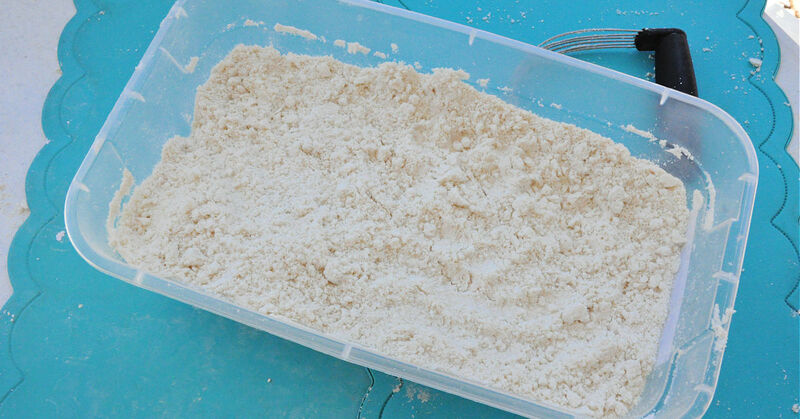 In my ongoing attempts to keep the girls busy over the summer, we came across a tutorial showing how to make what we have dubbed “Moon Sand” from just 2 simple ingredients most households have on hand. Last year, the girls had an entire sand table full of new sand. Throughout the year however, that sand got distributed around the yard. They love playing with sand though, so I thought this would be a fun alternative, and a cool project to do together. We did have to go to the Dollar Tree to pick up some baby oil, but we have a stockpile of flour that needs to be used up from our food storage, so it was a really inexpensive project for us. I’m not sure if this would work with other oils, but if you give it a try with a different type of oil, let me know how it turns out and I’ll add your feedback to the recipe. The best part is that this moon sand is supposed to keep for a long time as long as you keep it in a sealed container. Right now we have it in a gallon ziploc bag, and it seems to be doing fine. Just be sure to keep in mind that the Moon Sand is much messier than real sand. The girls play with it outside, and they always have to change their clothes afterwards. That’s a fun part of childhood though, right? Ready to learn how to make your own moon sand? Or buy Kinetic Sand if you’d rather not make it yourself! Using a dough blender, combine the baby oil and flour well. It took me a good 10 minutes to get everything completely incorporated. Put it in a large container outside, and let your children play freely with it. You can put measuring cups, spoons, straws and other items into the bin for an even more sensory experience. If you make this moon sand recipe, will you let me know how you like it in the comments below? Would love if you came by and share this on our #kidsinthekitchen linky this week! I have never heard of this – I bet they really enjoy playing with this. Thank you for sharing at Share It One More Time. This is perfect! My little girl loves playing in sand, her favorite thing to do at the beach and at two of the parks we like to visit that actually have a sand box. Now she’ll be able to play with it at home. Thanks, now following on FB and sharing this on my FB page today! Pinning this to use in preschool! Thanks! How fun! And so easy with only two ingredients! I’d love for you to stop by and share this at my weekly link party. http://www.thelifeofjenniferdawn.com/2014/09/a-little-bird-told-me-link-party-106.html Hope to see you there! This stuff is seriously the best. I made it with my daughter awhile ago and we BOTH loved it! It does last forever. Best thing! So cool! I’m literally making this right now. We have a whole bottle of baby oil that we never used still leftover from my daughter’s baby shower 2 years ago. Glad we get to have fun with it now. Thanks for sharing and linking up to Craft Frenzy Friday! Off to try it out. Pinning! My boys will love this! 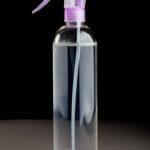 What kind of oil can you use instead of Baby Oil? I haven’t tried it with anything else – let me know if you do! How much baby oil should I add? Love your recipe 😡 thanks for share! My kids would love this. They love anything sensory play. Thanks for sharing with us all. Sounds fun! I always loved playing with sand when I was a kid. Thanks for linking up with Merry Monday. I didn’t have baby oil so I used coconut oil but my son loves it and has been playing with it for hours. What a great idea. I wanted to let you know that I am featuring this on my site. It’ll make the same volume of materials you’re using. So you’ll probably have to make several batches for a water table. Can this be done with out a mixer? I do t have access to one. You could try a fork or two butter knives. It’s very much like blending a pie crust, so the dough blender makes it easier, but you could try any other method that you’d use for blending a pie crust. can you add food coloring to the sand? Do you have another idea of how to make the sand a color? Can u add color to it? Made it for my grandson he loves it thank you.. I used your recipe idea and made a double batch of moon sand today for my 2 yo grandson. I blended it with a hand mixer about 5+ minutes, using a baby oil that had a light lavender scent. He loved it! We played with it over 90 minutes! We’re going to save it as a “Grandma and Me” activity. Thank you! We ran out of baby oil and used canola oil for the rest, worked great. Food coloring didnt though. I used vegetable oil and DōTERRA Lavender Essential Oil-made it as a calming project that was also safe if was to get ingested. I have made moon sand before and it had a lot more ingredients and was alot more frustrating but it all turned out pretty well in the end and it was really nice and smooth.But this, this is absolutley extraordinary it was nice and smooth and worked like a dream. I’m so happy my moon sand recipe worked so well for you! Can u add some color to it. Sure, I’d just test it first to make sure the coloring you add doesn’t spread.